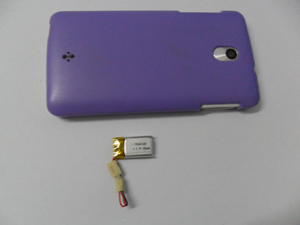 Padre ultra small lipo battery 3.7V 65mAh were ready for delivery, this battery is as mall as a finger print, designed for many popular wearable electronics, such as blue-tooth, digital bracelet, digital watch, healthcare sensor rings and so on. 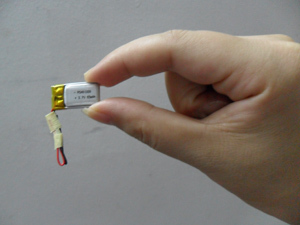 Ultra small lipo battery of this type from Padre has obviously advantages compared to traditional batteries, it can cover both features of rechargeable ability and small size, 10mm width and 20mm length, 2g weight, what’s more, it has high capacity of 65mAh, its higher than average level in this industry. When you need portable power but you dont have enough space for your great idea, this battery saves you absolutely.